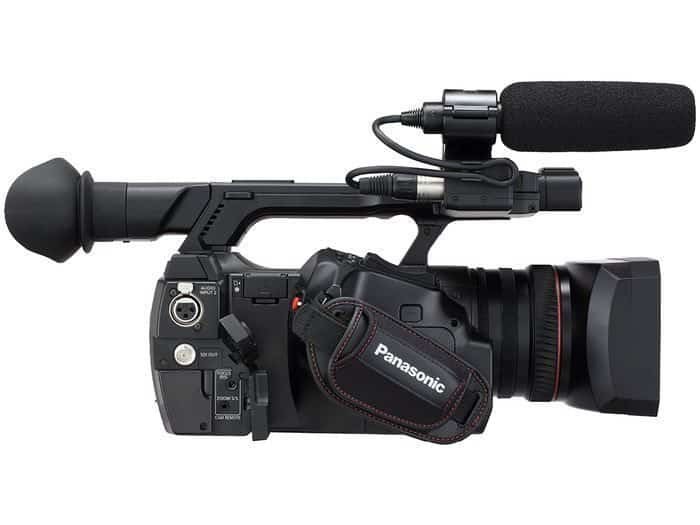 The Panasonic AJ-PX230 features a high-performance, compact zoom lens. Zooming from 28 mm to 616 mm (35 mm equivalent), this 22x zoom lens covers a wide field of view, from wide-angle to telephoto, without the need for a conversion lens. Combining 18 lens elements in 12 groups, this advanced lens unit further adds a UHR (Ultra High Refractive) glass element, a low dispersion element and aspherical lenses. This advanced optical technology provides superbly high resolution. In addition, it is combined with our unique digital signal processing technology, called Chromatic Aberration Compensation (CAC), to minimize color bleeding in the surrounding image areas and to achieve rich expression with finely rendered nuances and excellent shading. 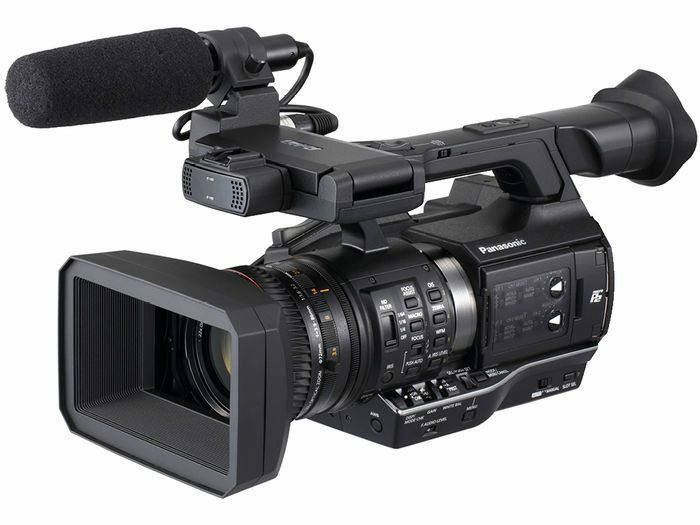 The Panasonic AJ-PX230 features the AVC-ULTRA codec family. To meet the various needs from mastering to streaming, the image quality and bit rate can be selected to match the application. This inter-frame compression method achieves highquality HD recording at a low bit rate. Ideal for providing on-air content direct from the shooting location and for workflows using content transferred over the internet. Three bit rates are available: AVC-LongG50/25/12 Mbps. AVC-LongG25 provide 10 bit/4:2:2 quality at a bit rate of approximately 25 Mbps. The Panasonic AJ-PX230 is equipped with 2 channel XLR mic/line audio input terminals supporting a +48 V phantom power supply. They are arranged on the front and rear sides of the unit, just like on a shoulder-type model. The front mic terminal is located behind the rear mic mounting section, eliminating problems resulting from catching protrusions on the side panel. 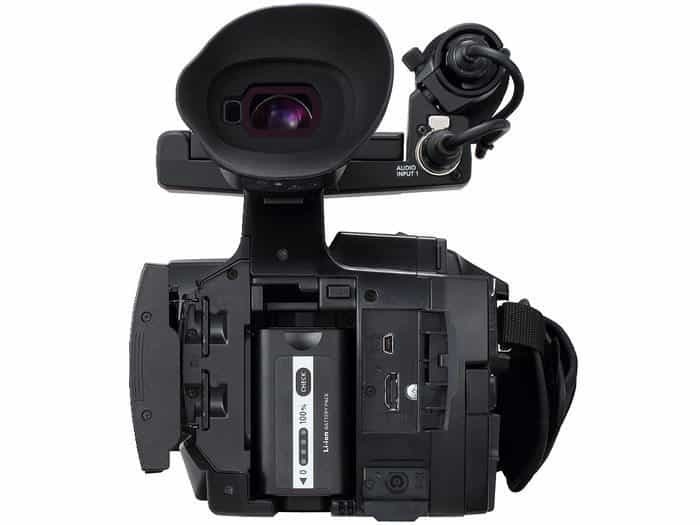 The rear external audio terminals are located on the right side for comfortable holding of the Panasonic AJ-PX230 against the chest during recording, and also permit easy connection and disconnection while holding the camera recorder in shooting position.